On the Settings menu, click Users Settings and then click the Saving 2 tab. In the “How would you like to save selected pages (multi-page files)” area, click “Ask at saving”. On the File menu, click Open to open your multipage file. Select required pages or use (Ctrl + A) to select all pages. You will see Save as dialog window. In the File name box type necessary file name. You will see “Save selected pages” dialog window. 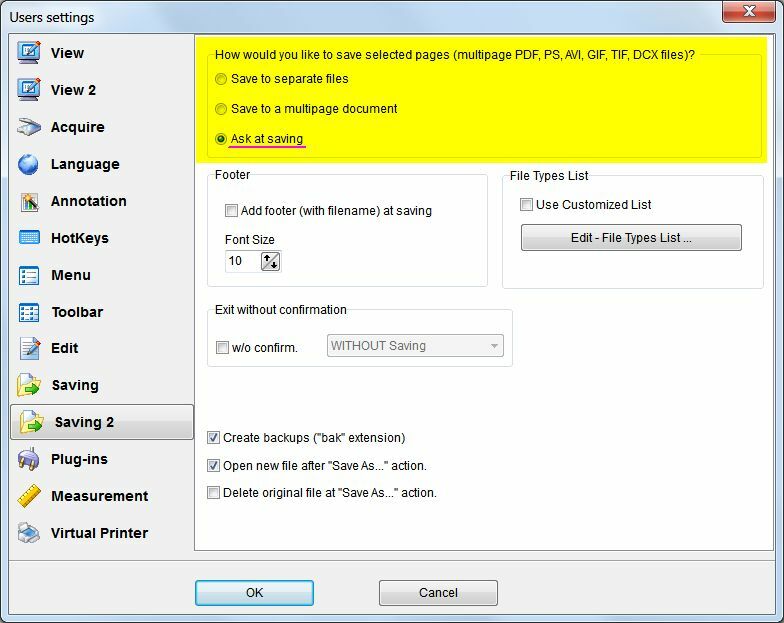 In the “How would you like to save selected pages” area, click “Save to separate files“.